When did Island Farm Donkey Sanctuary open? Island Farm was purchased in 1981 from the Hoare family of Wallingford who were coal merchants & pig producers. John McLaren, our manager set up the donkey sanctuary after rescuing a few donkeys from horse and donkeys sales, starting in 1983. This increased as the more neglected donkeys he saw, the more he felt he should give a home. This was a huge financial commitment, so in May 1997 the donkey sanctuary became affiliated to a charity, enabling the rescue work to continue while fund raising & promotion began, with appearances at Country Shows, Steam Rallies & Village Fetes. The hard work paid off when in July 2000, the donkey sanctuary was registered with the Charity Commission & from then on it became known as Island Farm Donkey Sanctuary (IFDS). Currently we look after over 100 donkeys and an almost equal number have been found new homes. Many donkeys arrive with some or all of the problems associated with neglect or lack of understanding & occasionally, abuse. They arrive with problems such as parasites (lice & worms), malnutrition, skin problems & most common of all, overgrown hooves which can literally cripple a donkey & cause much pain & distress. How many donkeys do you have? Currently there are over 120 donkeys living at the donkey sanctuary and over 50 donkeys living with foster carers. Our donkeys range in age from being born at the sanctuary to about 45. Most of them have come to us in a neglected state while others have been given to us as their owners can’t look after them anymore. Donkeys can live up to about 50, so it is a big commitment if you decide to have one. What do donkeys eat & drink – can I feed them? Donkeys usually eat barley straw, hay, grass (pasture) and various other things like bread, molasses & sugar beet which are mixed in with their feed, as well as carrots, apples, pears, turnip & swede. We have to be very careful what they eat so that they don’t get too fat – also many of our donkeys come to us with digestive problems so they need a special diet. We do not allow anyone to feed the donkeys because some of them are on special diets. Food from visitors could upset their tummies. Also, if lots of people fed them they could get fat. It might also encourage them to bite, as they are looking for food all the time. If you would like to donate a bags of carrots, apples, swede etc. (or even some ginger nuts or polo mints), please leave them at reception & they will be mixed in with their feed, which will be much appreciated by them all. Donkeys are extremely fussy about what they drink. They like their water to be as fresh as possible. We are frequently filling up their water troughs as they turn their noses up at water they don’t find clean enough. 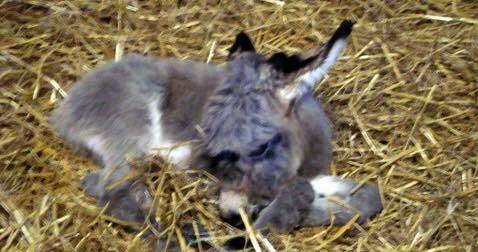 Who is the youngest/oldest donkey at Island Farm Donkey Sanctuary? Our youngest donkey is Alfie, a gelding who arrived from Southampton at 9 months old with his mother, Nellie in March 2015. Our oldest donkey now seems to be Molly, who is approximately 45-50 years old. She came into the Sanctuary in 2013 as part of a small group from a livestock market via a dealer. Sometimes when we rescue donkeys especially from a horse or livestock market they are destined for the meat trade abroad – generally they will be slaughtered for salami. We normally have to pay to rescue them and it sometimes costs us hundreds of pounds to do so. Who are your most recent admissions? Some of our most recent admissions include a stallion donkey called Ed, his colt foal, Bailey who is a mule, and Bailey’s mother who is a Shetland pony. They came to us in March 2013 in a very neglected & nervous state. Bailey was only a few months old & really shouldn’t have been separated from his mother, but they are both doing really well & are starting to make friends with the staff. Do you rescue any other animals apart from donkeys? We do not actively rescue other animals but we do have some. They include sheep who were rescued from slaughter for meat, goats, numerous chickens, 2 geese, 2 ducks and a pot bellied pig called Percy. Read more about Percy and the other animals who arrived with him. How many people work at Island Farm Donkey Sanctuary? We have 2 office staff and 4 yard staff who are paid. It takes a lot of hard work to keep the sanctuary going so we do need more people but unfortunately we cannot afford any more paid staff at the moment. YES!! It costs about £1700 per year for each donkey (about £33 a week) to live here. Each new donkey is inspected by our vet, farrier & equine dentist and nearly all new donkeys need specialist treatment, which can cost upwards of £500. At the moment we need to raise about £12,000 per month to keep the Sanctuary going. If you would like to volunteer or know anyone who might, please complete our IFDS-volunteer-information-form and send it to us or call 01491 833938 or e-mail stuart@donkeyrescue.org.uk for further information. 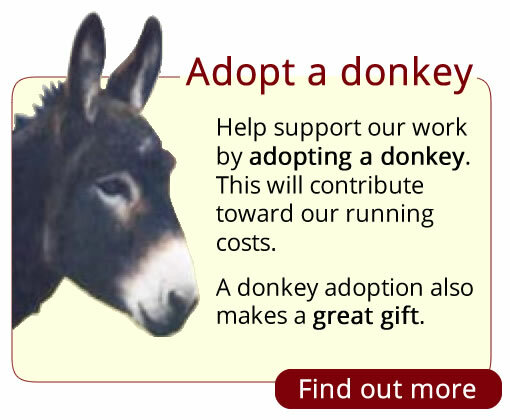 There are many ways to help our donkeys. Many visitors help us by adopting one of our donkeys. If you use the internet for shopping, please shop via www.easyfundraising.org.uk . Log on, nominate Island Farm Donkey Sanctuary as your chosen charity & then shop via this web site. Lots of well known companies (Amazon, Marks & Spencer, Argos etc.) will then make a small donation to us. Island Farm Donkey Sanctuary also has its own shop located in the visitor centre. 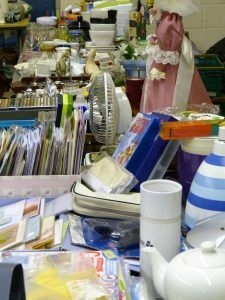 Gifts available from our shop include chinaware, books, pens, cuddly toys etc. at a very reasonable price. You can also buy a copy of our lovely book written about our special donkey, Pollyanne – One little donkey’s amazing journey from the knackers yard to the West End stage – visitors to the sanctuary can also see Pollyanne if she is not out at an event. Other ways to help include buying some donkey manure for your garden, visiting us, coming to our events, and making donations (however small). Bequests are most welcome. We also have a memorial wall at Island Farm where you can place a plaque in memory of a loved one or pet for a donation.